Rebecca Zung, Esq. and Susan Guthrie, Esq. interview top forensic specialist Nevin Sanli, and discuss all the ways a forensic expert can help find the financial answers to important questions in your divorce. Worried that your spouse is hiding assets or income? Wondering how to maintain your lifestyle after the divorce? Need to find out what the family business is really worth? These are all important questions that come up when couples divorce and the best way to answer them is to get the right expert on board! On this show, Susan and Rebecca get in depth answers and tips from leading expert, Nevin Sanli, who has testified as an expert in HUNDREDS of cases and knows the methods and investigative tools needed to track down that money and to value that asset. 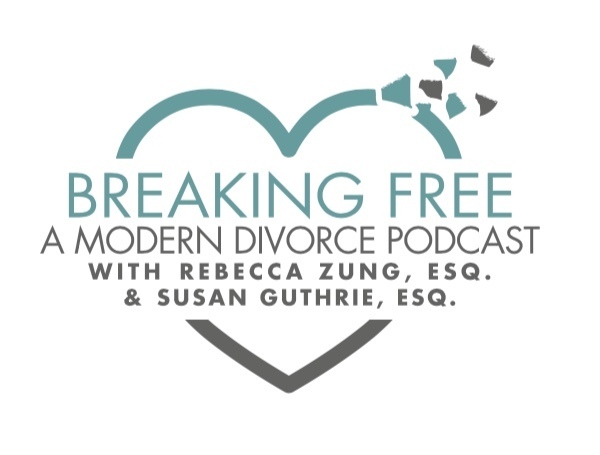 If you are getting divorced and have financial questions don’t miss this episode – it is your chance to get real advice from one of the best! LISTEN NOW! To find out more about Nevin Sanli, President and Founder of Sanli, Pastore & Hill please visit his firm’s website www.sphvalue.com or call him directly at 310-571-3400. "Better Apart: The Radically Positive Way to Separate" by our recent guest GABRIELLE HARTLEY (Episode #123) with Elena Brower, is NOW AVAILABLE FOR PURCHASE!! You can get your copy on Amazon! This book will change how you think about divorce!